Neko and Mia Yoko have a romantic day – a picnic in a park. They escaped to a green park, found a cozy sunny place, and enjoy drinking aromatic tea with yummy food, cookies, berries, and macaroons! Butterflies, flowers, twitting birds, fresh air, smiles, and laughter. What a wonderful day together! 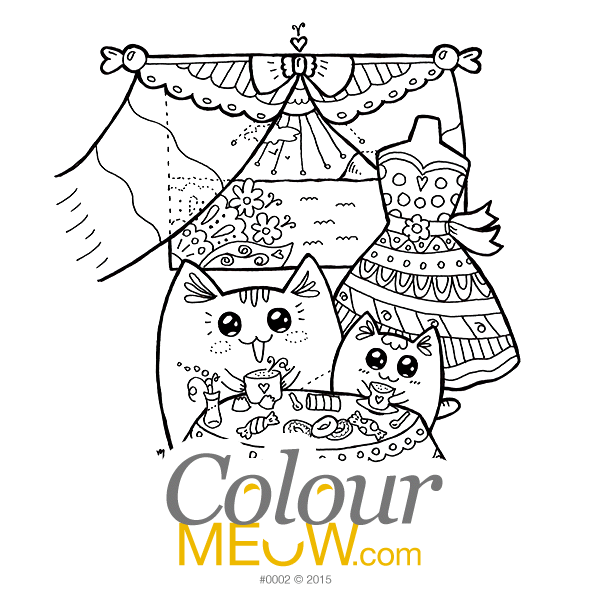 Colour this adorable cat picture. Hang it on a wall, like I did. It will make you smile every time you see it :) Or colour it and frame it! Keep for yourself or make a lovely cat gift for a cat lover in your life! 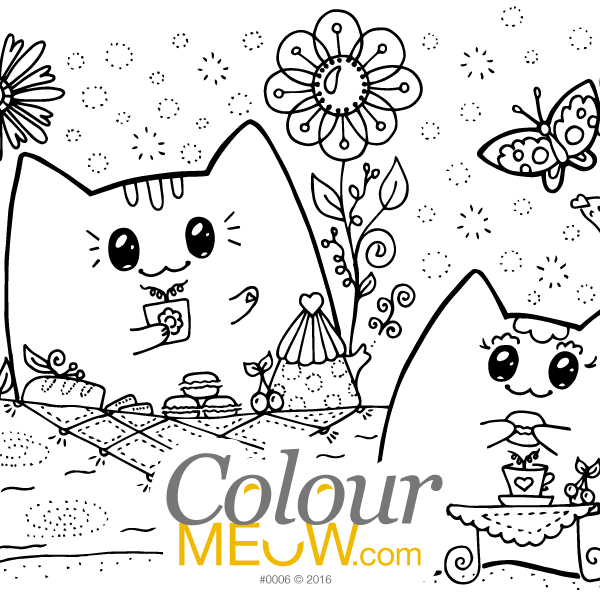 Get your cat colouring page and colour it in right now! Kawaii Yoko cats Neko and Mia enjoy tea time together. Summer, warm breeze, azure sea, birds chirping. What else will they do on a vacation?